There’s a feeling that success has gone to the tech industry’s head. Venture capitalists, who recognize a bargain when they see one, have already begun scouring the Midwest. When you invest in a San Francisco start-up, “you’re basically paying landlords, Twilio, and Amazon Web Services.” In the last three months of 2017, San Francisco lost more residents to outward migration than any other city in the country. 58% of Bay Area millennials, (are) considering moving away. Robin Li, an investor with the San Francisco venture capital firm GGV Capital, was standing in the lobby of the Madison building in downtown Detroit. Built in 1917 as a theater and refurbished several years ago as a tech co-working space, the Madison checks all of the aesthetic boxes of hipsterdom: reclaimed wood, exposed brick walls, pour-over coffee served by tattooed baristas. “This is nicer than San Francisco,” Ms. Li concluded. It was pitched as a kind of Rust Belt safari — a chance for Silicon Valley investors to meet local officials and look for promising start-ups in overlooked areas of the country. But a funny thing happened: By the end of the tour, the coastal elites had caught the heartland bug. Several used Zillow, the real estate app, to gawk at the availability of cheap homes in cities like Detroit and South Bend and fantasize about relocating there. They marveled at how even old-line manufacturing cities now offer a convincing simulacrum of coastal life, complete with artisanal soap stores and farm-to-table restaurants. “If it weren’t for my kids, I’d totally move,” said Cyan Banister, a partner at Founders Fund. “This could be a really powerful ecosystem.”These investors aren’t alone. In recent months, a growing number of tech leaders have been flirting with the idea of leaving Silicon Valley. Some cite the exorbitant cost of living in San Francisco and its suburbs, where even a million-dollar salary can feel middle class. Others complain about local criticism of the tech industry and a left-wing echo chamber that stifles opposing views. And yet others feel that better innovation is happening elsewhere. Mr. McKenna, who owns a house in Miami in addition to his home in San Francisco, told me that his travels outside the Bay Area had opened his eyes to a world beyond the tech bubble. Recently, Peter Thiel, the President Trump-supporting billionaire investor and Facebook board member, became Silicon Valley’s highest-profile defector when he reportedly told people close to him that he was moving to Los Angeles full-time, and relocating his personal investment funds there. (Founders Fund and Mithril Capital, two other firms started by Mr. Thiel, will remain in the Bay Area.) Mr. Thiel reportedly considered San Francisco’s progressive culture “toxic,” and sought out a city with more intellectual diversity. Mr. Thiel’s criticisms were echoed by Michael Moritz, the billionaire founder of Sequoia Capital. In a recent Financial Times op-ed, Mr. Moritz argued that Silicon Valley had become slow and spoiled by its success, and that “soul-sapping discussions” about politics and social injustice had distracted tech companies from the work of innovation. But even among those who enjoy living in the Bay Area, and can afford to do so comfortably, there’s a feeling that success has gone to the tech industry’s head. When you invest in a San Francisco start-up, “you’re basically paying landlords, Twilio, and Amazon Web Services,” said Ms. Bannister of Founders Fund, referring to the companies that provide start-ups with messaging services and data hosting. Granted, California still has its perks. Venture capital investment is still largely concentrated on the West Coast, as are the clusters of talented computer scientists who emerge from prestigious schools like Stanford and the University of California, Berkeley. Despite the existence of tools like Slack, which make remote work easier, many tech workers feel it’s still an advantage to be close to the center of the action. But the region’s advantages may be eroding. Google, Facebook and other large tech companies have recently opened offices in cities like Boulder, Colo. and Boston, hoping to attract new talent as well as accommodating requests from existing employees looking to move elsewhere. And the hot demand for engineers in areas like artificial intelligence and autonomous vehicles has led companies to expand their presence near research universities, in cities like Pittsburgh and Ann Arbor. Then there is HQ2, Amazon’s much-ballyhooed search for a second headquarters, which seems to have convinced some tech executives that cities between the coasts may be viable alternatives. Venture capitalists, who recognize a bargain when they see one, have already begun scouring the Midwest. 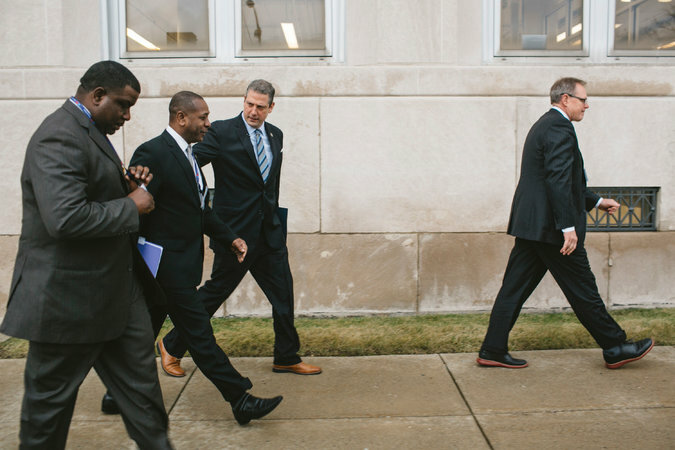 Mr. Case and Mr. Vance recently amassed a $150 million fund called “Rise of the Rest.” The fund, which was backed by tech luminaries including Jeff Bezos of Amazon and Eric Schmidt, the former executive chairman of Alphabet, will invest in start-ups throughout the region. But it’s not just about making money. It’s about social comfort, too. Tech companies are more popular in noncoastal states than in their own backyards, where the industry’s effect on housing prices and traffic congestion is more acutely felt. Most large tech companies still rate highly in national opinion surveys, but only 62 percent of Californians say they trust the tech industry, and just 37 percent trust social media companies, according to the Edelman survey. So you can start to understand the appeal of a friendlier environment. 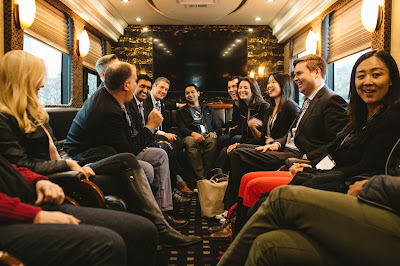 During the Akron stop of the bus trip, while the Silicon Valley investors mingled with local officials over a dinner spread of vegan polenta pizza and barbecue sliders, Mr. McKenna, the San Francisco venture capitalist, told me that he felt a difference in people’s attitudes in cities like these, where the tech industry’s success is still seen as something to celebrate. “People want to be in places where they’re the hero,” he said.